As well as looking for new business many companies have to find a way in which to maintain their existing customer base. There are a number of ways in which they can do this and here we look at what they are and how you can instruct a company to stop. For many small businesses this is something that can take up a considerable amount of time and also money so they must find more cost effective ways of maintaining a link with their existing customers and letting them know of any special offers or promotions. As a customer however you may not wish to be contacted on a regular basis and may instruct the company in question to stop – this can be done by contacting them by telephone or by registering with the Telephone Preference Service. However in the case of companies you have already done business with your best course of action is to contact them yourself. Every year in the United Kingdom there are literally thousands of tons of paper sent out through the postal service to households all over the country. These flyers and leaflets often offer money off deals, cut price holidays, reduced insurance premiums and a multitude of other offers that these companies deem too inviting for us to pass up. However the downside to this is that many customers have already signed up to agreements with utility companies, banks and building societies and insurance companies and therefore have no interest in changing. This means the information sent through the post simply ends up in the waste paper basket. 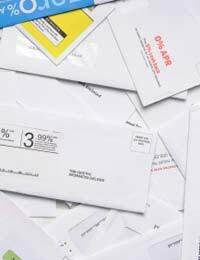 If you are receiving a lot of what you might term ‘Junk Mail’ then you should register with the Mailing Preference Service; this is a service that lists your name on databases with a view to reducing the amount of unwanted and unsolicited mail you receive. It has proven to be very successful to date. Another way in which businesses contact existing customers is through the use of telephone calls. As we have mentioned before ‘Cold Calls’ are calls made to customers or potential customers who have not spoken to the company before. This also applies if there has been a significant period of time elapsed between placing an order and the time when you are contacted. After a number of months you are considered to be a ‘Cold Customer’ and are eligible to be contacted as if it were for the first time. Call backs are normally carried out at the request of the customer during the last telephone conversation they had with the company in question. This usually involves being asked if it is all right to contact you in three, six or twelve months. If you agree to this then you have solicited the call and it becomes a ‘Call Back’. I No Longer Want to do Business With Them, What Should I do? If you have no further desire to have communications from any company that has been contacting you then you should – in the first instance – contact them directly and ask for their marketing department. When you have managed to get through to the marketing department you should ask for your details to be removed from their telephone and mailing lists so that no further information or calls are received. Most businesses will respect this and do what you have asked but it is important to remember that if a company persist in contacting you after you have asked them not to then you can contact Trading Standards and the Telephone Preference Service for help and advice.